Birdsong brings a garden to life, and there's no better way to encourage it than invite the world's best singers to make your garden their home! 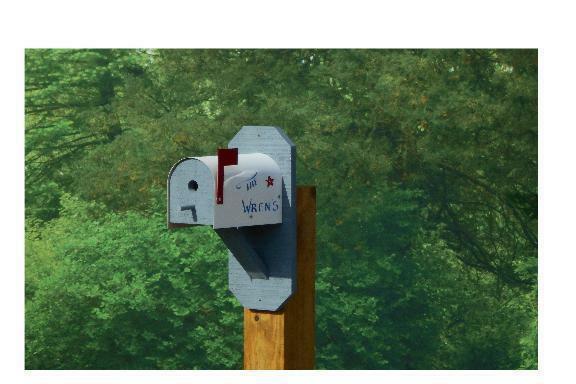 This adorable, handcrafted mailbox bird house is designed to do exactly that while bringing a little fun and charm to your outdoor decor. With beautiful details and high-quality Amish craftsmanship, this bird house promises years and years of enjoyment. Additionally, the craftsman who makes this particular bird house is more than happy to hand-paint a distinctive design on to the side of the bird house at no extra cost! Simply choose a design from the menu above, or contact us with your custom order so we can pass it along to the woodshop. If you'd prefer no design, simply select "No Design" from the menu above. If you have any questions at all about this delightful bird house, please don't hesitate to get in touch! Hand-painted design features "Mr & Mrs. Wren" or "The Wrens" on one side, your choice of design on the other. Designs will vary slightly from photographs.